Creatinine is an endogenous substance formed from creatine phosphate during muscle metabolism. 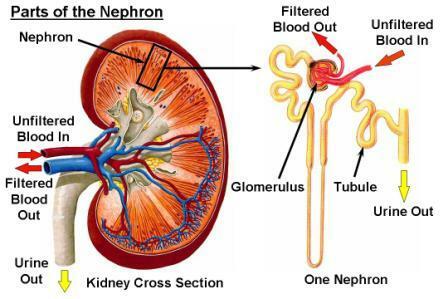 In humans with normally functioning kidneys, creatinine is filtered mainly at the glomerulus, with no tubular reabsorption. The rate at which creatinine is filtered from the blood reflects the glomerular filtration rate of the kidneys. Normal creatinine clearance is generally assumed to be between 100 and 125 mL/min per 1.73 square meters for a subject of ideal body weight. For a female the average is 108.8 +/- 13.5 mL/min and for a male the average is 124.5 +/- 9.7 mL/min. where Ccr is the creatinine concentration in mg/dL. For females, the result is taken as 90% of this value.